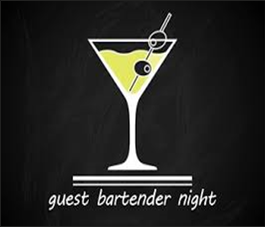 Join us on Saturday, February 23rd from 7pm-10pm at Z Pub as our priests will be bartenders for the evening. Fr. Schreck and Fr. Naugle will be serving drinks including one of their own signature drinks. There will also be a Chinese Auction and 50/50. All tips go to St. Monica Parish and Z Pub kindly will donate $1 per drink purchased. Come and join us for a fun evening!